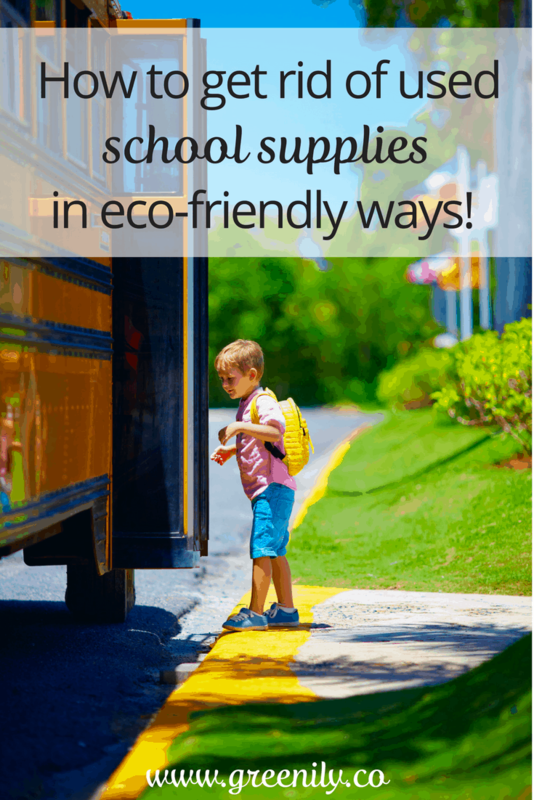 Got Lots of Used School Supplies? It’s that time of year when kids bring home all of those used school supplies they’ve had stuffed in their desks all year..and dump it all over your house! 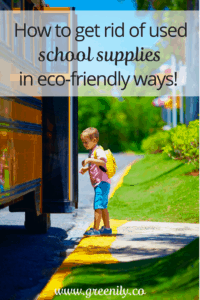 Here are a few ways you can get rid of all of those used school supplies in environmentally friendly ways! In the past we have been pretty bad about actually reusing our left over school supplies. They tend to end up in a drawers or on shelves with the intention of using them again. However, when it comes time to shop for school supplies at the end of the summer we always head to the store and never back to our perfectly good, gently used school supplies. This year I’m going to make it my goal to (with my kids help!!) sort through all of the used school supplies they have brought home and have it handy and ready to go for next year. I suggest sorting like items and storing them in any containers you have on hand. You will likely have to weed out any items that just aren’t usable like dry markers, pens that are out of ink or notebooks with all of the pages used (we’ll get to what to do with those soon!). 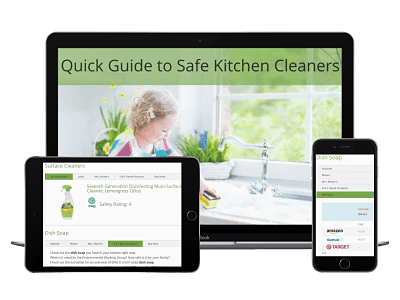 Once you’re done sorting, you’re all set with your stash of supplies for next year which will save you money and keep perfectly usable items out of the landfill…and from cluttering drawers all over your home! 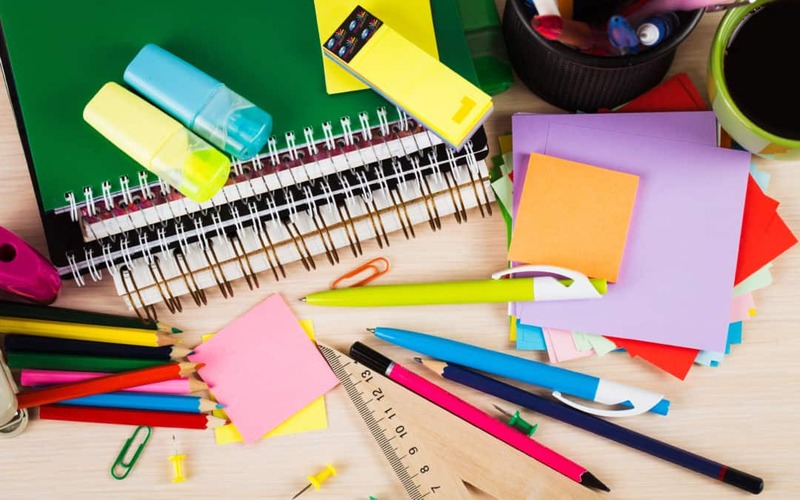 If in your sorting of the piles and piles of used school supplies your kids brought home you find items that really have had a good life and need to hit the road, do your best to recycle all that you can and keep as much out of the trash as possible. Notebooks, including composition and spiral, can go into the paper recycling bin. For spiral notebooks you’ll need to remove the metal spiral and put that in your metal recycling and all of the paper and the front and back cover are recyclable. Binders that are in rough shape can also be recycled at Office Depot – yeah! Now that you have some ideas for what to do with all of those used school supplies it’s time to get to work. I’m guessing it won’t take as long as you think and you’re bound to feel good about keeping stuff out of the landfill! See, it’s really that easy to have your family…only greener! Happy summer!